With a view of the campsite as if you were there, weather and tips for days out, we invite you to keep up to date with our website, from the beginning to the end of your stay. Feel part of the atmosphere at your naturist campsite by talking to our team and by keeping informed. We will gladly answer all your questions and listen to your suggestions. At the core of the naturist way of thinking is a vital need to get closer to nature as a whole but also to allow the body and spirit to break free from the constraints of clothing and the controls of society. A way of living that teaches sharing and tolerance. Located at La Palme in the Aude department between Narbonne and Perpignan, the naturist campsite Le Clapotis has its own private beach with direct and privileged access to the lake of La Palme which it overlooks. This fantastic spot will delight windsurfing and kitesurfing fans. 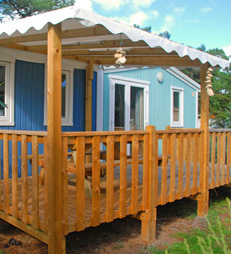 8 nights =7 nights payed and 15 = 12 in camping and rental ! What's new at Le Clapotis? 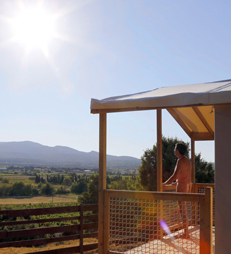 Le Clapotis is a naturist campsite located in La Palme in the Aude. 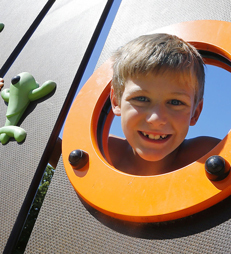 The campsite offers numerous activities and amenities. Enjoy a unique setting and discover our naturist rentals: bungalow, tents, mobile homes and camping pitches... A large naturist domain for a holiday by the Mediterranean discovering the naturist beaches in the south of France. To make the most of your family naturist holiday, Le Clapotis also offers many seasonal activities such as kitesurfing and windsurfing with other sports to try.